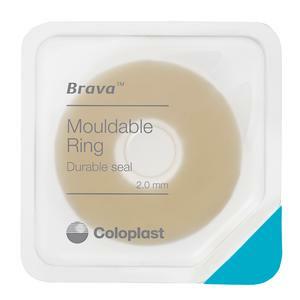 What is Coloplast's Brava Mouldable Ring and How Is It Different? A moldable ring, such as Coloplast’s Brava or ConvaTec’s Eakin Cohesive Seal, is used to create a tight seal between the stoma and the ostomy barrier, thereby protecting your skin against stoma output. This and other Coloplast Ostomy Supplies can be purchased and learned about by contacting Parthenon online or by calling 1-800-453-8898. Also check out our annual Ostomy Catalog featuring almost every ostomy product available on the market today!